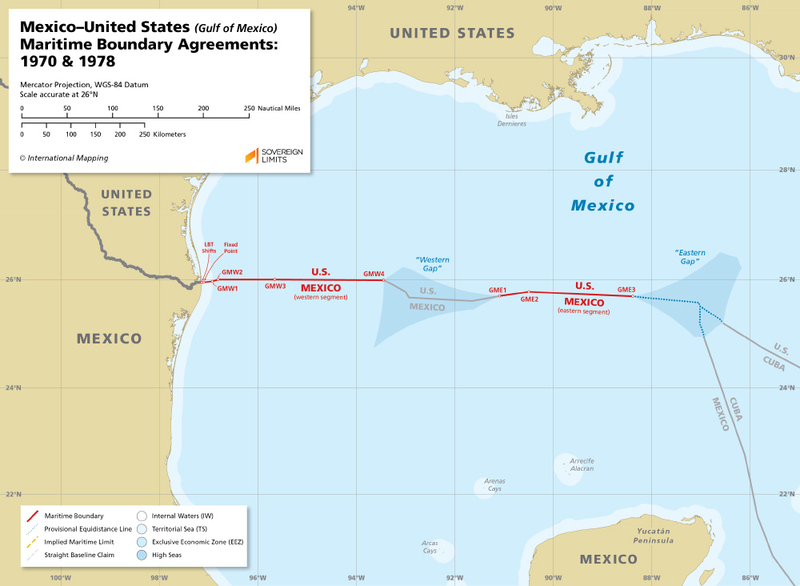 The maritime boundaries between Mexico and the United States in the Pacific Ocean and Gulf of Mexico were established through a series of bilateral agreements that were reached in 1970, 1976, and 1978. 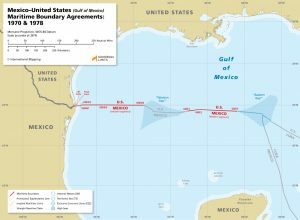 In addition to the maritime space within 200 nautical miles from their respective coasts, Mexico and the United States have extended continental shelf access in the Gulf of Mexico. 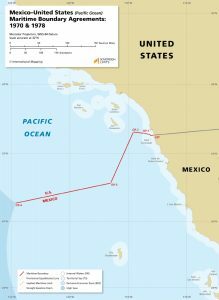 The extended continental shelf boundary through the “Western Gap” was delimited bilaterally in 2000, but the “Eastern Gap,” situated between Cuba, Mexico, and the United States, has yet to be delimited. 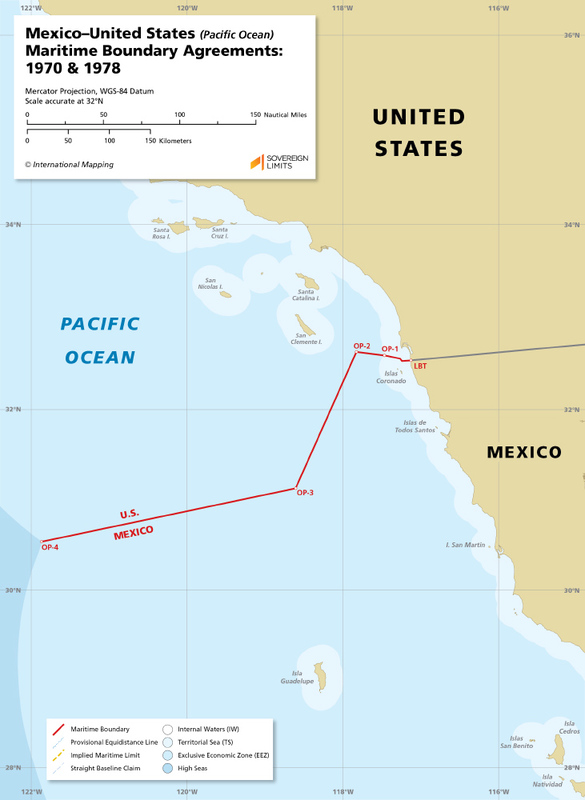 Click here for information on the Mexico–United States land boundary that connects these two maritime boundaries.